بني في 1980, Cottonwood Motel هو ميزة مُضافة لـ سنويى ماونتاين و خيار ذكي للمسافرين. يمكن من هنا للضيوف الاستمتاع بسهولة الوصول إلى كل ما تقدمه هذه المدينة النابضة بالحياة. يوفر الفندق بفضل موقعة الجيد وصولاً سهلاً إلى أهم معالم المدينة.
. يقدم Cottonwood Motel خدمات لا غبار عليها وكل أشكال اللياقة وحسن الضيافة اللازمة لإسعاد ضيوفه. هذه بعض الخدمات الموجودة في هذا الفندق: مرافق مخصصة لذوي الاحتياجات الخاصة, تخزين الأمتعة, واي فاي في المناطق العامة, صف السيارات, غرفة عائلية. في الفندق غرف نوم يتجاوز عددها 10، كلها مجهزة بعناية وجمال وبعضها مزود بـ تلفزيون بشاشة مسطحة, اتصال لاسلكي بشبكة الإنترنت (مجاني), حوض الاسترخاء, غرف لغير المدخنين, مكيف هواء. يقدم الفندق العديد من الفرص للاستجمام كمثل مركز للياقة البدنية, حمام سباحة خارجي, غرفة ألعاب. إن Cottonwood Motel هو خيارك لخدمة الفنادق الراقية في سنويى ماونتاين. Ideally located for access to the mountains. Small rooms, low light, the bathroom door handle fell off while inside the bathroom. No WiFi. The kettle was filled with ants. The staff are very friendly and made sure that we had access to our room despite arriving after reception had already closed. Breakfast is cereal and toast. 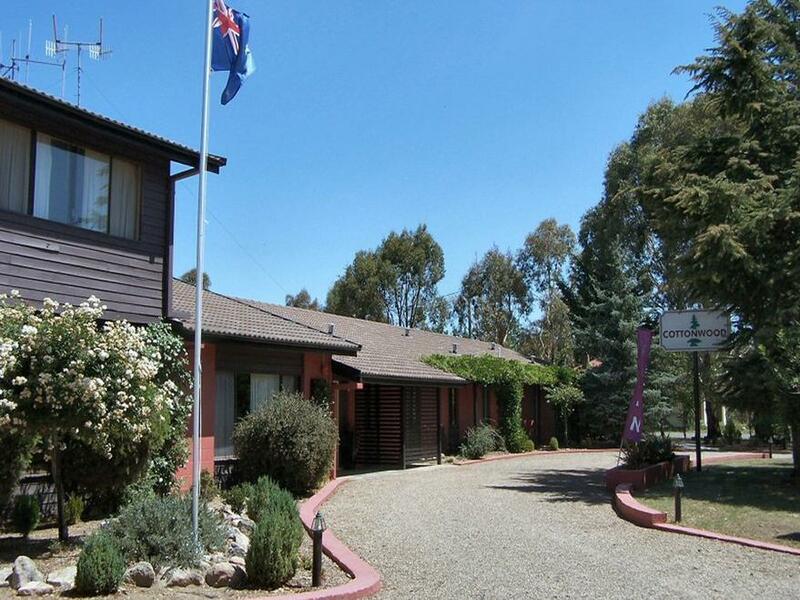 Perfect stay if you're heading to Snowy Mountains. Near to everything. Very clean. Very nice owner. Room price includes breakfast. We arrived at nearly midnight and had signs on the front door and inside the property to direct us to our room. Very thoughtful. Breakfast was nicely set-up and lots of options for everyone, and had a lovely relaxed chat with the owners. We will stay again. Our room was a little small but clean & comfortable. Price included continental breakfast. Great for an overnight stay. the place needs an upgrade..feels a little tired.. The stay at Cottonwood Motel in general is pleasureable for me and my family. The place I could say is neat, warmness is maintained throughout the motel and feel free to prepare your own lunch and dinner. Breakfast is free consisting of cereals, milk and toast. There's also a microwave and a barbieque stove. The room we booked was a family 6 (i forgot the name for it) where it can accommodate up to 6 persons (1 queen bed and 2 bunk beds) with tv, bar fridge, a dresser and shower with toilet. 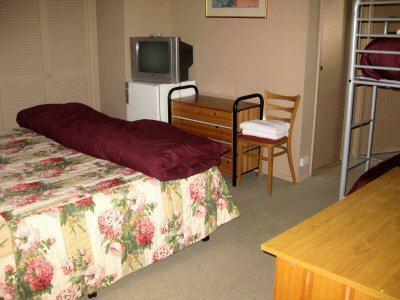 Great comfort when coming and going to Jindabyne and/or Snowy Mountains. We were satisfied with our stay at the Cottonwood Motel in Snowy Mountain. The owner David and wife Lynette are very accommodating and friendly and made us feel at home. The dining room is large and complete with clean and very substantial dining equipments. It's like home away from home. 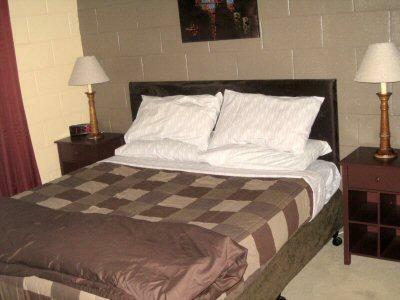 Room is clean and beds are comfortable and bathroom is large. given that this was the ski season this small motel was excellent value for money. downers..although wi-fi was free it did not work in the room. also twin beds were a bit unusual. 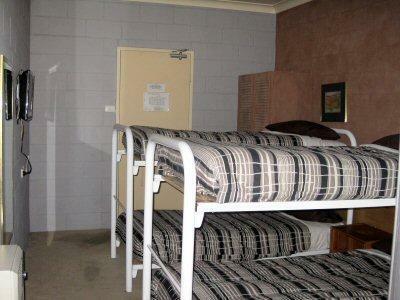 however it was thye best and cheapest accom. around. i would stay there again. Comfortable rooms, value for money, good breakfast, friendly owners. We stayed here on our way to the snow so it was a very convenient place to break our journey. Would definitely stay here again. Not very pleasant because the first night heater wasnt working and it was super cold. 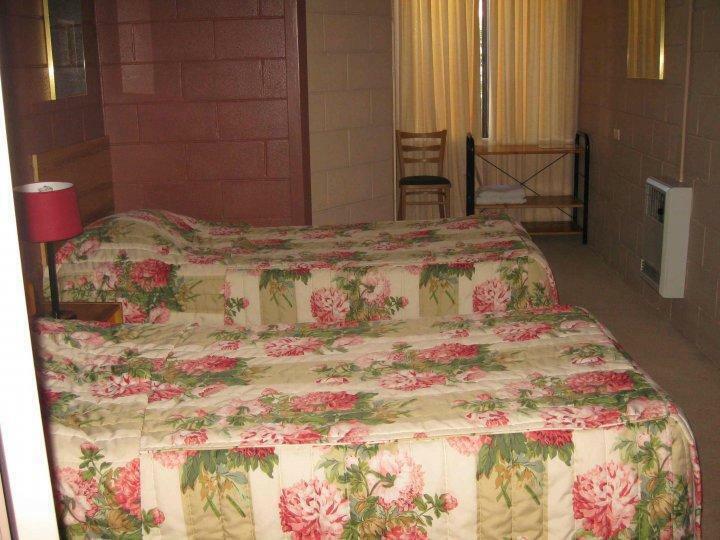 The room is very small, the motel is old and not clean. Considering the price, a decent hotel anyway. Friendly staff, comfortable bed and breakfast included in the price. Enjoyable stay on our way to the skiing fields, easy location, no parking problems.We had the room on the top floor which was very clean and comfortable . The continental breakfast is another plus ! Room really small for 4 people - crammed 2 bunk beds in a very small area. Otherwise, ok to stay. I was welcomed and felt welcome. All I can say is, I will make use of it again, Great value for money! Walking distance from all you need. Real homely atmosphere and helpful hosts. Kami menginap selama 3 malam di Cottonwood Motel. Penginapannya biasa saja bahkan terkesan tua dan suram. Pemanas ruangan di kamar tidur anak tidak bekerja dengan baik. Di lounge disediakan meja billiard, TV besar, dan high speed internet. Microwave disediakan di ruang makan bersama untuk semua tamu. Selama menginap disini kami mengunjungi tempat bermain salju di Perisher Valley yang berjarak sekitar 1 jam dari Cottonwood Motel. Hari berikutnya kami ke Thredbo yang kurang lebih sekitar 1 jam juga.